Your machines do not have sensors, but you still want to monitor them? You want to track your production processes easily and effortlessly? You always want to know if your machines are running, even if you are not on site? The monitoring, especially of older machines, is often complex and very expensive. Small and medium-sized companies in particular often shy away from the investments associated with Industry 4.0 solutions. An IT project is always necessary for implementation. SILVA light is a solution for machine monitoring that does not require any investment – simply connect and ready to go – in just a few minutes. Therefore, there is no need for an IT project. Investments are also unnecessary. For a small monthly fee, you will receive everything you need to run the solution: software, hardware and the associated comprehensive service. System as a Service “is our motto. In this way, every company, every size and every sector can enter the industry immediately, without any effort or risk. SILVA light is based on proven technology. It is not necessary to purchase sensors and program interfaces for monitoring your machines. We use the integrated sensors of standard smartphones. This covers many use cases. Downtimes and throughput are only the beginning – even complex scenarios are possible. 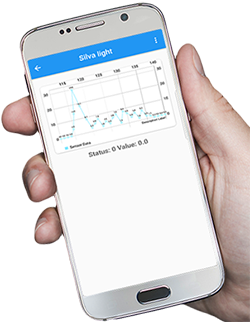 SILVA light – machine monitoring without native sensors – helps you to monitor your machines! Safely store the data in the cloud? That is possible! Security is our top priority, which is why we encrypt your valuable data! Expensive, extensive training is not required. The ease of handling is our highest priority – right after the security. Low implementation cost through our pure usage-based pricing model – avoid funding headache. Upfront investments are not required. Our solution is an end-to-end solution – from sensor to cloud storage. Save the resources in your IT department! Even without internal IT you can easily implement our solutions. 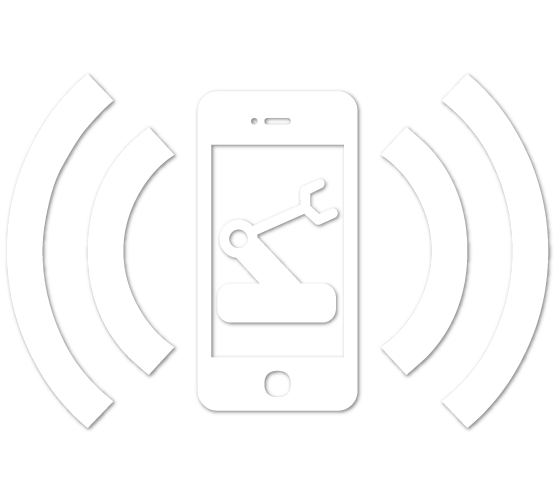 The standard mobile phone sensors open a variety of ways to monitor even machines that do not have their own integrated sensors. As soon as certain reporting points have been reached, SILVA light informs you automatically. Let us inform you via push message on your mobile phone. You can collect data wirelessly on mobile devices. You can do without cable clutter. There are many different views available for the presentation of your data. Use the graphic that fits your data. In conjunction with the SCIP system you can see the data in the control room or in the production cell – without effort. Save the data to a file or in the cloud. A cloud database is also available. The decision where your data go, is yours. Industry 4.0 without upfront investment? Our system as a service approach makes it possible. Even with short maturities, the costs remain low. You can easily use multiple sensors simultaneously to monitor your machines. FEEL THE PULSE OF YOUR MACHINE! Get your free UseCase analysis now! I agree to the use of my data to make an appointment.